Letty Coppel Foundation and Valor Sudcaliforniano participated in the forum “The Family Forger of Values” the challenge of the 21st century. Posted by admin in Social Assistance on 10 30th, 2012 | Comments Off on Letty Coppel Foundation and Valor Sudcaliforniano participated in the forum “The Family Forger of Values” the challenge of the 21st century. Letty Coppel Foundation and Delegate DIF conducted Breast Cancer Prevention Talk at the Pueblo Bonito Hotels in Cabo San Lucas. 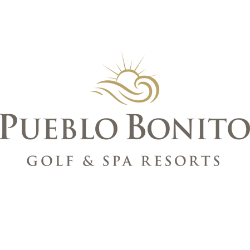 Posted by admin in Social Assistance on 10 26th, 2012 | Comments Off on Letty Coppel Foundation and Delegate DIF conducted Breast Cancer Prevention Talk at the Pueblo Bonito Hotels in Cabo San Lucas. Delegate and Teachers Students of CSL Children’s Primary School, 1847. They released sea turtles. Posted by admin in Los Cabos on 10 22nd, 2012 | Comments Off on Delegate and Teachers Students of CSL Children’s Primary School, 1847. They released sea turtles. Letty Coppel Foundation and DIF of Cabo San Lucas mega march against breast cancer. Posted by admin in Social Assistance on 10 19th, 2012 | Comments Off on Letty Coppel Foundation and DIF of Cabo San Lucas mega march against breast cancer. Letty Coppel Foundation and network of volunteers DIF National teaches “School for Parents” in the children’s stay “Precious Moments”. Posted by admin in Social Assistance on 10 17th, 2012 | Comments Off on Letty Coppel Foundation and network of volunteers DIF National teaches “School for Parents” in the children’s stay “Precious Moments”.